I saw Susan Elizabeth Phillips speak at an RWA conference a few years ago. I'll pause while you all reflect on how incredibly jealous you are about that. I heard Susan Elizabeth Phillips speak. In person. One of the many incredibly wise things SEP said when I was listening to her speak in person, was that most romance authors have a theme...some element of story...that they touch on in all of their books. And now my mom is shaking her head and wondering why I can't ever behave nicely. If you asked any one of my characters to name their favorite movie line of all time, they'd quote Mark Darcy in Bridget Jones's Diary, "I like you very much. Just as you are." Yes, even my guy characters have this as their favorite line. They're beta guys--evolved and in touch with their feelings. But don't tell them I told you or they'll feel compelled to fix a faucet or punch something just to prove they're not wimps. I was incredibly shy when I was a kid. I used to go to parties in high school and never say a single word. Even at family parties I was really quiet. When I was a junior in high school, I applied for a summer service program and was selected. At some point during the trip, one of the other girls asked the moderator why he chose the people he did. He explained what he'd seen in each person's interview that he thought would be valuable to the group. When he got to me, he said he'd chosen me because I was funny. He was the first person who'd seen past the walls I had up to realize that I really, really love to make people laugh. Somehow, having another person appreciate my sense of humor validated it for me. That one guy and his feedback on my interview changed my life. It gave me the courage to start talking, to start writing funny things, to go through sorority rush, and job interviews, to tell stories at parties and trust that they'd be appreciated. It was as if he'd given me permission to be a person I hadn't been sure would be welcome. Here I am, experimenting with my sense of humor on that high school service trip. That's what I want for my characters. I want the hero to see the person the heroine is afraid to admit she wants to be. I want the heroine to tell the hero exactly why he's not like other guys and exactly how much his particular gifts matter to her. The need to be seen and loved for your authentic self--that's my theme. 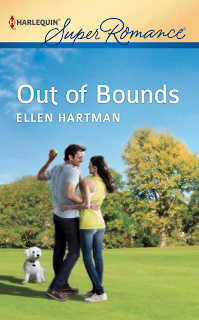 I don't always hit the mark with this theme, but I think in my September book, Out of Bounds, it really worked. The hero, the heroine, even the Schnoodle are misfits in some way. They don't fit the space they think they should and aren't sure if they're allowed to try to break out. I loved writing this book. I love the dog, the larger-than-life heroine, the hero who's tormented by his devotion to his family, and the humor. Here's a quick excerpt...Posy Jones is visiting her mom's store, The Wonders of Christmas Shoppe, and feeling out of step, as usual. Her mom bustled toward the office at the back of the store. "I'm unpacking a shipment. Come on back and I can tell you the news," she said. "Watch that garland!" Posy stooped to duck under a rope of gold, spray-painted eucalyptus leaves and pine cones. She turned sideways to edge past a display of the beautifully detailed handcrafted papier-mâché mangers her mom commissioned from an artist in Pennsylvania. Wonders didn't have aisles so much as narrow alleys between displays crammed full of Christmas glitz and glitter. From the hand blown glass ornaments hanging on color-coordinated trees to the loops of beaded crystal garland Posy ducked through as she passed the register, the store carried anything and everything Christmas and delicate. Her mom's real specialty was miniatures. Wonders was the best-stocked retail outlet on the East Coast for holiday decorators who took verisimilitude in their train displays or light-up Christmas villages to the extreme. Every inch of horizontal space inside Wonders contained tiny, detailed, uncannily realistic miniatures and scene scapes. Posy ran a hand over the thick nap of an ivory velvet tree skirt. She'd worn more than her share of velvet Christmas dresses when she was in elementary school. Each one had been beautiful on the hanger, but the heavy fabric and childish styles had exaggerated Posy's large frame, making her feel even more self-conscious. Trish had exquisite sewing skills--she just didn't have any gauge to tell her when enough was so much more than enough. 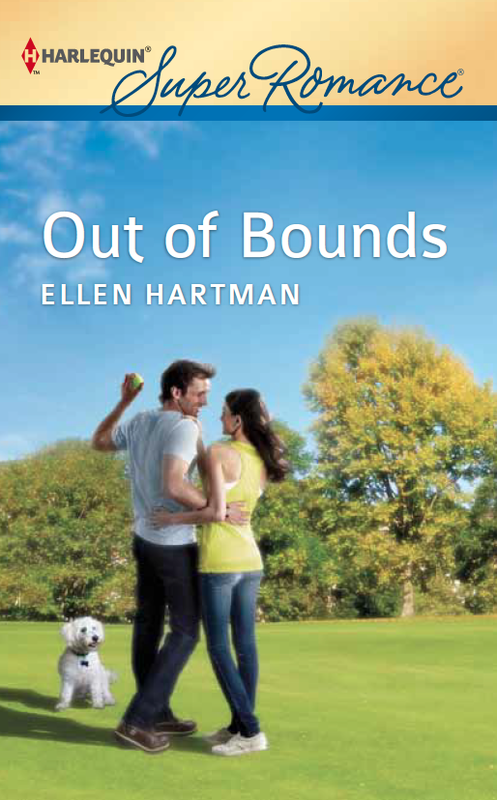 I'm giving away 3 copies of Out of Bounds to people who leave comments! Everyone has something to sing about. It's on a sticker inside my first guitar. I'd forgotten about it until just now, but that was my theme as a teenager. I got derailed for a while, but it's still my theme. That's wonderful, Molly, and certainly suits you. Throughout my career as a typist, I have had to incorporate editing into my job. When I write down the changes I've made on the customer's hard copy original, I continue writing "be consistent". When you start writing a word let's say with a Canadian spelling, I advise my customers to continue using that spelling throughout their paper ... if they start talking about "one thing" in paragraph one, go on to "two things" in paragraph two, and "three things" in paragraph three, then don't put one (obscure) sentence about "one thing" next - put it back in that first paragraph with the other information on the same topic (and make it flow) ... if your CV/resume has dates, company, job, and duties in that order for Education, don't change up the order for Employment ... BE CONSISTENT! I'm so glad that there are authors who prefer to write about beta heroes. My favorite type! I don't know if I have a theme, at least I never thought about it. I liked your theme because it reminded me of a quote I try to live by: "Be yourself, everyone else is taken" by Oscar Wilde. I never heard that quote before, but it's excellent. Beta heroes are my favorite, too. I didn't even know what they were until a reviewer mentioned that I write them. My love for the beta guys is instinctive! I just have to ask - who's the guy? My theme - family. I envy people who have "The Waltons" type of family. I'd never analyzed my books for common theme until I read your post this morning (and I was at that RWA and heard SEP, too! I must have been to awe-struck to actually hear what she was saying;-). But, yep, there it was--slapping me in the face. Every single one of my main characters--even in my wip--is trying to be "good" enough to be loved and respected by the people he/she loves ... to earn their love. I, too, was shy as a child and still fight that inner child when I'm in large social groups with strangers. I love the picture. Looks like you broke out of your shell in a big way! I just picke up OUT OF BOUNDS yesterday. WE used to have a Christmas themed store in our town that was a lot like you described. It closed a few years ago. I tend to have characters with an identity crisis. They struggle trying to keep up thier perceived image. It isn't until they are able to love and be loved that they discover thier true selves. Family is one of the themes I gravitate toward as a reader. It has such great emotional potential for a story. I like your theme. Like Marcie's family one, it has such great emotional depth. When I pulled that picture out last night to scan it, I noticed how tense I look under the costume. I was really trying to break out of my shell, but I have every possible body part crossed. The body language made me laugh. Oooh, I like your theme. Characters who are holding onto an image usually have such dramatic break downs at some point. I love it! Glad you picked up "Out of Bounds." I had a fantastic time designing the Wonders of Christmas Shoppe. I don't usually get too enthusiastic about setting--to the point that I often skip it entirely--but that store really got my creativity working. Funny blog post, Ellen. The book sounds great. Although I do have beer in some of my books, I have secrets in almost all of them. I'm not sure exactly why, though, because I'm not a secretive person. I guess I find the unknown intriguing. Ellen, Wonders sounds like a fabulous store! I love the photo of you. I'm so glad your inner comedienne comes out to play so readily these days! My theme is - home is where the heart is. No matter where my stories start, they always finish here. WOW Ellen! That was great feedback from someone that didn't know you! Especially since it changed your view of you! I've read Out of Bounds and loved it. Especially liked how you dealt with both the hero and heorine's veiws of themselves. It was one of your best, but I still like Deacon's (The Long Shot) the best of all of your books I've read (which I think is all or mostly all of them anyway--may have missed an early one or two. There is so much emotion in these two brothers' books that just pulled me into their stories. Your ability to intersperse humor, fear, sadness, happiness, and love into your storytelling makes your characters "real" to me and makes for really good reading. So glad you got that wonderful feedback that set you on your way! Not sure I have any real theme to live life by, except to love everyone even when they annoy or irritate me no end or have done some real injustice to society. It is not my place to judge. Beer, Ellen. My theme is beer. In my books however, my theme is usually redemption. Someone in my books usually gets redeemed--they hate something they've done, they close themselves off to deal with it. I love that the teacher saw through your facade and recognized your humor. The thing I love best about your books, other than the awesome beta guys, is the humor. Darlene--I like your explanation for your theme. The secret in your current book is a whopper. I can't wait to read it. Home is where the heart is...that's a wonderful theme for a Super author. A friend and I were talking about her husband and his siblings and their deep love of home. It's a special gift for anyone...including fictional characters! I like your theme or motto or whatever you want to call it. I actually had a conflict in one of my books (His Secret Past) with a hero who thinks everyone deserves a second chance and a heroine who doesn't. Kind of a similar thought. The humor is one of my favorite things about your books. Your dialogue is such a great vehicle for the kind of dry humor I love most. I think I may have to start liking basketball. I loved the pickup game between Wes and Posey. It almost made me want to challenge my husband to a street match, but I can't even make a layup. Although, our backstop is adjustable, so maybe I have a shot. And I also like the beer theme. Just today, I learned there is such a drink as a "Man-mosa" which is a light beer (Coors Light or Bud) with a splash of orange juice. Haven't tried it, I'm out of orange juice, but could be good for those co-ed wedding showers. My theme would have to persistence . A nice way to say stubborn. I'm like the little Engine that could. I'm thrilled that you liked that basketball game between Posy and Wes. I'd had so much trouble finding the right woman for Wes, but when I wrote that scene, I knew I'd found his match. I rewrote the beginning of this book a whole bunch of different ways, but I carried that scene through each one. I tried a shandy this summer, which is beer and lemonade. Sounds disgusting, tastes delicious! Persistence is such a valuable thing to have. What a great theme! Ellen, When you do the drawing, you can leave me out. I just realized I bought your book on Kindle, AND I picked it up again at Walmart. Either way, I really enjoyed it. Even though I am in no way as tall as Posey, I can relate to that competitive spirit we try to hide. There was this one Pictionary game in college that almost cost me my husband.